Happy Wednesday! I have lots more to share on the discussion of various die cutting machine choices but today I need a bit of a break! 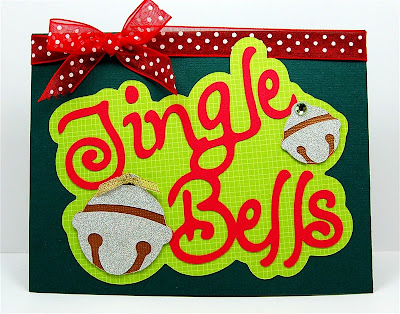 Christmas is less than four weeks away and there is crafting to be done. I made this card last year the "old fashioned way" using the Cricut and just pushing the buttons to cut all of the pieces (no software involved). This is one of my favorite word art images on the 'Tis the Season cartridge. The cuts were all made at 3 1/2 inches. 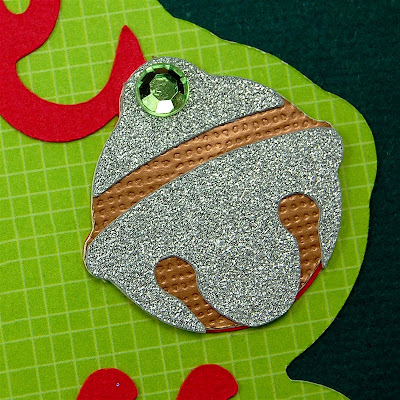 I used the incredibly sparkly "Dazzle" cardstock from DCWV for the jingle bells. The sparkle is hard to capture in a photo but in real life in is truly "dazzling." 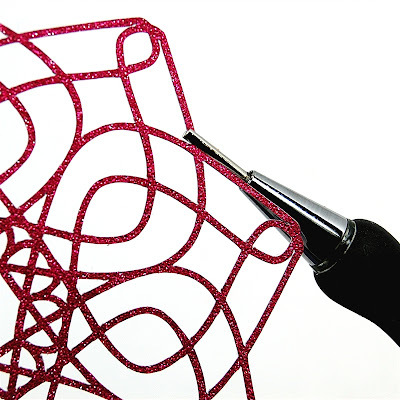 The "glitter" is actually a manufacturing process that creates a smooth surface that cuts beautifully. This is my hands down favorite choice for cutting intricate designs with an amazing sparkle. I often use the Dazzle cardstock for the very delicate cuts I design and cut with the Cameo. 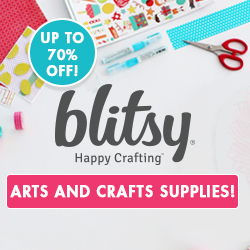 For those of you who use machines that will cut files in SVG or other formats, Lettering Delights has a sale on Cut It sets that will end tomorrow (Thursday, November 29th). 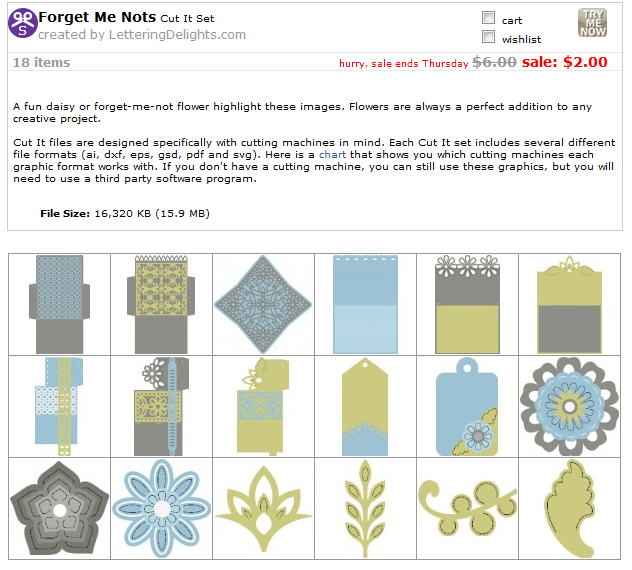 These files come in a number of formats (ai, dxf, eps, gsd, pdf and svg) and can be used on most cutting machines but not the Cricut. They are normally priced at 5 or 6 dollars for the set and they are $2 during this sale. To make matters even better, if you order totals $20 or more, you can save an additional 40% by using the code HoDown. 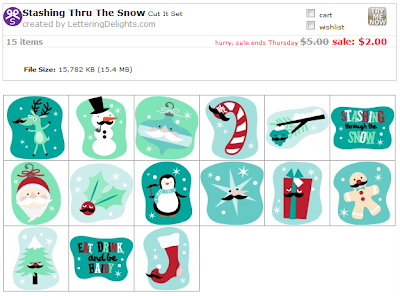 A lot of the Lettering Delights files are "cutesy," like the "Stashing through the Snow" set above but there are also more refined sets like these Forget-Me-Nots. (And a little bit of cutesy can be fun, especially when there are mustaches involved)! Click HERE to check out the sale. I'll be adding some sample pieces of the Dazzle cardstock to the November giveaway box. 8. 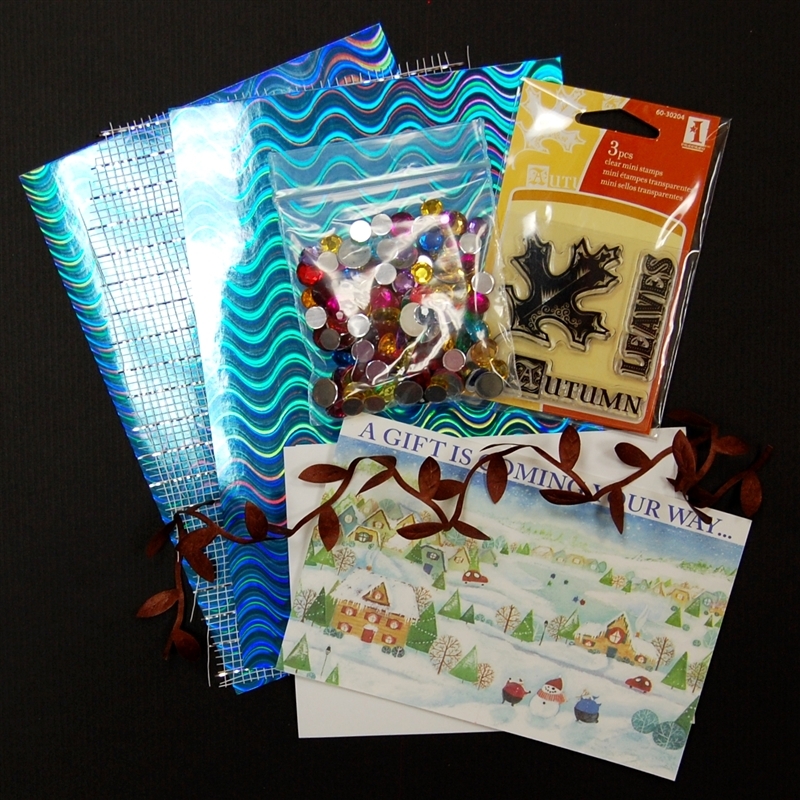 A few samples of different pieces of patterned Dazzle Cardstock. I hope you have a great Wednesday! I'll be crafting and getting ready for some upcoming family visits. 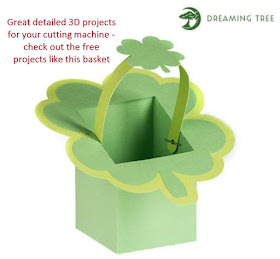 So appreciate your comments and comparison of die cutting machines. I just ordered a Cameo..so I am so excited! I love your card...I have Tis the Season and never noticed this cut! LOVE IT! Another great card! You are so inspiring! I love that Dazzle paper! Great card! i've never been able to find dcwv dazzle paper. it looks interesting, and i just love anything that sparkles. guess i'll have to order online. 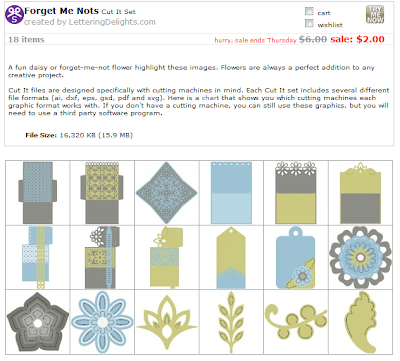 It's on special at DCWV Deals online this week - both the little pads and two different 12 x 12 ones. I am enjoying reading about which cutting system for you. 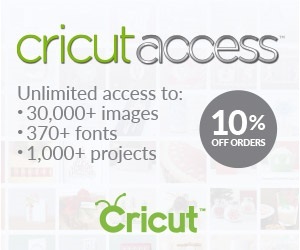 I am afraid though that I am one of those people who has so much invested in my cricut. I have to remember that it works for me and what I use it for. Thanks for sharing. I am definitely going to look for the Dazzle CS the next time I make a supply run. I have really enjoyed your posts about which machines are right for each of us. You've helped me be content with what I have and to remember that I have barely touched the surface of my Cricut/Gypsy capability. I really need to master that before I jump into something else. I absolutely love the Dazzle paper! I can cut half inch tall greeting sentiments for cards with the cricut and it cuts perfectly. I just picked up a bunch more at DCWV Deals yesterday. They had the 4x6 pads and two different large 12x12 pads. (brights and neutrals). 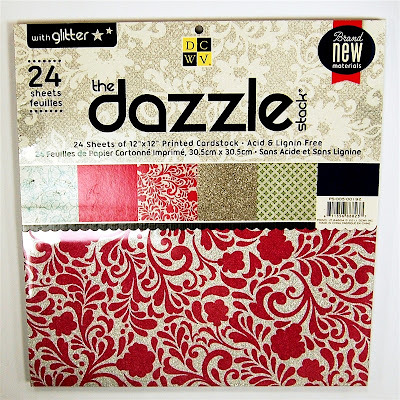 I have been wanting to try the Dazzle paper, but I have not been able to find it locally. Thanks for the chance to win it. What a great box this is becoming! I'd love to win and share with my DIL. Thanks for all the helpful information. I love the dazzle paper. beautiful. Thanks for the tips about Lettering Delights. The box is getting filled with some interesting tidbits. Something very interesting should become of it. I enjoy your blog so much! I usually make cards, however have begun to explore scrapbooking lately. It certainly does pose a few challenges, but I am having fun! I hope your Dad is doing well! Looking forward to trying the Dazzels Paper, it looks great on your card. Great card. I don't have Dazzle but some DCWV glitter paper with the glitter embedded. Unfortunately the colors leave something to be desired but it does cut like butter. I usually meticulously glue glitter on the cuts. Thanks for the tip about the DCWV Dazzle paper - will be much easier. I love the look of the dazzle glitter. I look forward to the restt of the diecut machine discussions but enjoy seeing your creations as well. 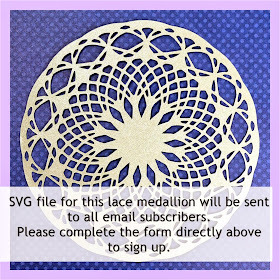 Does the Cameo consistently cut cleaner than Cricut on small, intricate cuts? I frequently get tears or areas that need a bit on hand cutting with Cricut. Thank you for your comparisons of the die cutting machines. I love this card! I think it turned out beautiful! I love reading your blog everyday! Wish I had more time to craft and CASE your projects. Just got a cameo but haven't had time to even take it out of the box. Would love to win your box of goodies. 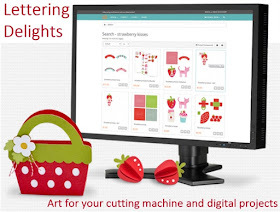 Thanks for your input on die cutting machines. 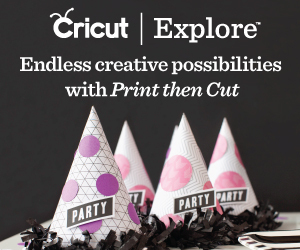 It helped me to realize that I am not into the "designing" part of cutting machines, so the Cricut will continue to work fine for me. 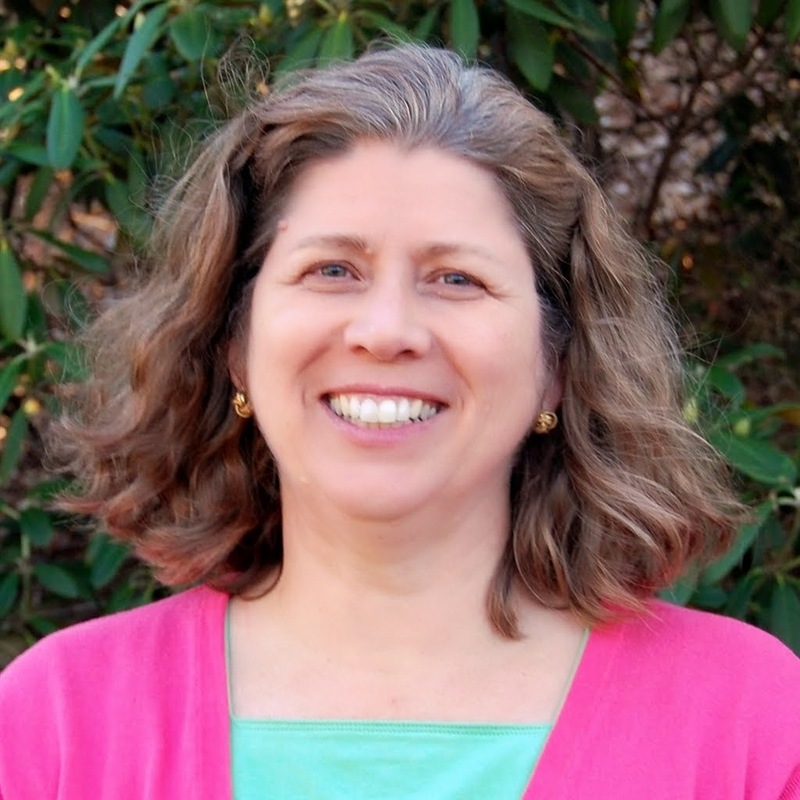 Thanks Diane for your blog. I so enjoy reading it. I am really enjoying your comparisons! My Cricut Expression is an old friend; my Cameo and I are still making friends (much more of a learning curve, for me, at least). Thanks so much for your help with this budding relationship! I definately want some of that Dazzle paper. I hate having glitter all over expecially on a card. 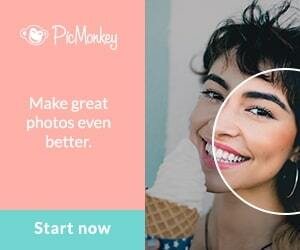 The Sillhouette is on my Santa list.